Hapless and hopeless romantic Ox writes a series of love letters to gorgeous (and absolutely vain) Gazelle who can't be bothered to give anyone the time of day, much less a "thick and ungrateful and awful and unlovely" ox. And don't forget unlovable. An endearing story just in time for Valentine's Day. 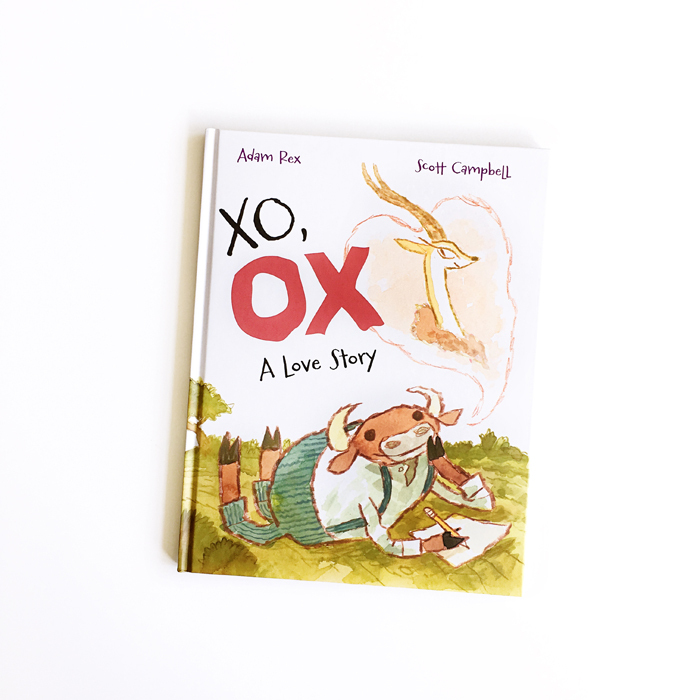 XO, OX: A Love Story was written by Adam Rex, illustrated by Scott Campbell and published by Roaring Brook Press.